Download these great hand drawn African animal cartoons. 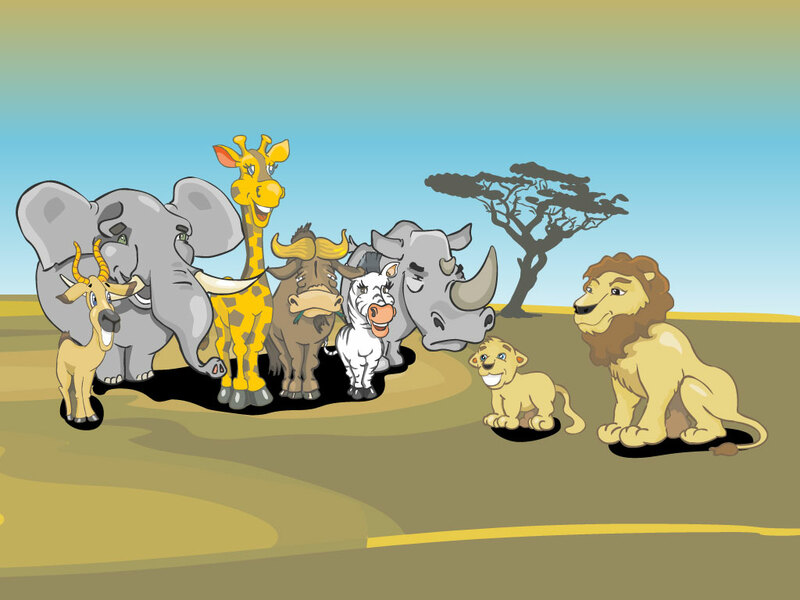 Vector pack includes a lion, rhinoceros, zebra, bison, giraffe, elephant and okapi. A great wallpaper or background for any of your kid friendly designs projects. Tags: Animals, Bison, Elephant, Giraffe, Lion, Okapi, Rhinoceros, Zebra.